← Video – Who Does North Korea Fear? If I really am N, what then does that mean? 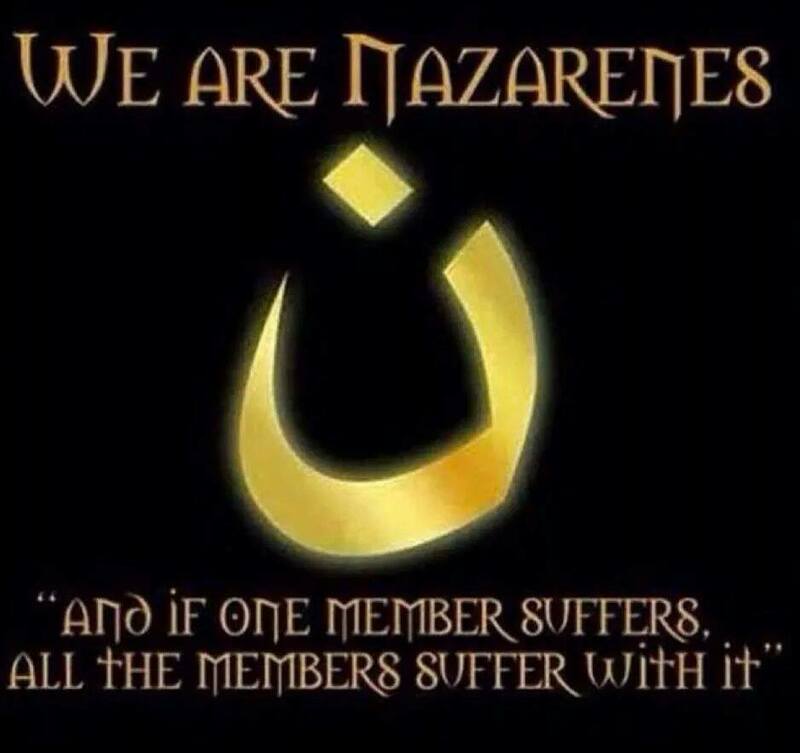 For myself, I have no difficulty feeling genuinely connected to the Christians of Mosul (or, perhaps more accurately, the Christians formerly of Mosul). Given our work with the underground Christians of North Korea, such a feeling of kinship arises quite naturally. Rather, the challenge for me is how these campaigns have forced me to take a closer look at what response the Scripture calls for in circumstances like this one. If I am N, in other words, I want to be a good one. What is being commanded is not entirely clear or explicit. What are we to do when we “remember”? And what does it mean to remember “as if” we were the ones suffering? I do not doubt that every one of these things is true in this case and the other cases we encounter with persecuted Christians. Perhaps for me because of my background with North Korean work, these are the parts of the “We are Nazarenes”/”I am N” identification that come quite readily to me. But one suspects that if the goal of the writer of Hebrews was only to have us pray for, sympathize with, call attention to, and help out prisoners, he would have simply said so. There are exact constructions in Scripture for each of these phrases, and in fact each phrase and its related call to action are commended to believers over and over again. Christianity 101, you might say. However, the key words in this passage–typically translated “remember” and “as if you were together with them in prison”–have few if any parallels in the rest of Scripture. In other words, the author is commending something that is very unique and hard to express in any other way. He is asking us not only to do the things listed above but also to do something more because of our identification with those who suffer. What is it? One interpretive tool that is seldom employed in relation to this verse is contextual analysis. In other words, what was the author talking about prior to this verse? Can that context give us any insight into how he intends us to understand these unique words and phrases? The subject at hand in Hebrews 13 is loving other Christians. That is straightforward enough. But interestingly, as the chapter unfolds we see that the author of Hebrews is at least as concerned about the why as he is the how. For example, the author of Hebrews tells us that we are to show hospitality to strangers. Why? Because there is often more to strangers than meets the eye. Throughout the Scripture we are given plenty of reasons for being hospitable. We should be hospitable because we were once strangers and aliens. We should be hospitable because we want others to be hospitable to us. We should be hospitable because we are to be like our Father in heaven, who is hospitable. But of all the reasons to be hospitable, the author of Hebrews highlights a very unusual one: Because angels are out and about, and we may be entertaining them unaware–or, worse, slamming our doors in their faces without knowing it. Thus, Hebrews 13:2 sets a fascinating context for Hebrews 13:3. What if there were more to prisoners of the faith than meets the eye? The context for Hebrews 13:3, in other words, is not simply combating indifference. The author of Hebrews is not merely saying, “It is easy to forget about prisoners. Let’s not do that.” That’s absolutely true as far as it goes, of course. But as I travel around the world speaking about North Korean underground believers, I find that we Christians generally don’t shrug off the sufferings of other believers. When we learn about their difficulties we seem to have a natural inclination to feel bad for them. And not only to feel bad–I also find that we Christians generally want to help out suffering Christians, praying for them, if not also giving money and spreading the word in an effort to somehow alleviate their suffering. All good. But the author of Hebrews takes it one step deeper. Just as he gives us a very unusual reason for opening our homes to strangers (i.e., because there is more to strangers than meets the eye), he likewise provides us a very unusual way to think about prisoners. He leads us to ask: Could there be more to prisoners than meets the eye? The admonition, in other words, is not just “Do not forget the prisoners.” It is “Look carefully into this matter of Christians imprisoned for their faith.” Why? …since you, too, are liable to similar physical punishment. Look carefully into this matter of Christians imprisoned for their faith. Though it may not appear this way to the eye, you are bound together with them since you, too, are liable to similar physical punishment. How might this change the way we remember (i.e., think on, carefully look into) the situation facing the Christians of Mosul? This entry was posted in Uncategorized and tagged Hebrews 13:3, Mosul. Bookmark the permalink. Agree that, “This is a profoundly different and far more challenging rendering of the verse”…we must re-read and contemplate this today…we will absolutely “voluntarily take up the cross in our own nation and neighborhood, while the wood is still green”. Thank God that Jesus said he will never leave us or forsake us. This is a tall order. as a Community Voice Volunteer rep for VOM, That was an excellent pc. of analysis. I too, have found myself more advocate than remember as if I was actually bound. It is a warning to us, far too we have thought ourselves an invulnerable be cause either Jesus will return before it gets icky, or because “we have the victory over the devil he can’t touch us with persecution’… What was quoted earlier this year in a VOM newsletter on Syria – a quote that they pray for us that we’ll be ready when our time comes really grabbed me along with the NK followers of Christ who pray for us since we are so easily distracted by our rich culture around us from the things of God and what pleases him. Thanks so much for that in depth piece of breaking it down. Good to hear from you, Joe–sure do appreciate your work at VOM, as well as VOM’s own “I am N” campaign. Great Article! Not trying to be critical, but you have a typo in the Luke passage. It caught my attention because the word “Christian” doesn’t appear in the gospels. It should say childless or barren women. Thanks, Travis–I accidentally cut and pasted an extra phrase in there “Christians who were warned” when I was doing an edit. It is now removed, thanks to you!